We collect information from you when you register on our site, complete a registration, make a donation, or fill out a form. In doing so, you may be asked to enter your: full name, e-mail address, and phone number. You may, however, visit our site anonymously. We implement a variety of security measures to maintain the safety of your personal information when you enter, submit, or access your personal information. We offer the use of a secure server. All supplied sensitive/credit information is transmitted via Secure Socket Layer (SSL) technology and then encrypted into our Payment Gateway provider’s database only to be accessible by those authorized with special access rights to such systems, and are required to keep the information confidential. After a transaction, your private information (credit card data, personal information, etc.) will not be kept on file for more than 60 days. We may periodically update this policy. We will notify you about significant changes in the way we treat personal information by sending a notice to the primary email address specified in your account or by placing a prominent notice on our website. CLH Developmental Support Services is committed to ensuring that its website is accessible to people with disabilities. All the pages on our website are accessible to the widest range of users, including those with the more common sensory, motor and cognitive disabilities, by adopting as a minimum all requirements of W3C WAI’s Web Content Accessibility Guidelines 2.0, Level AA conformance. The contents of all material available on this internet site are subject to copyright protection in favour of CLH Developmental Support Services unless otherwise indicated. All rights are reserved by CLH Developmental Support Services , and content may not be reproduced, downloaded, disseminated, published or transferred in any form or by any means, except with the prior written permission of CLH Developmental Support Services. The information contained within this website is provided as a public service without warranty of any kind and although it is believed to be accurate; it may include errors or inaccuracies. Readers should verify the information before acting on it. 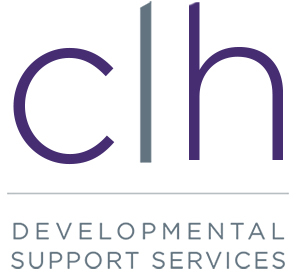 There are links on the CLH Developmental Support Services website that takes you to other websites outside of our service. Any links provided to third party websites outside of the CLH Developmental Support Services website are provided solely for your convenience. The operation and content of such third party websites is beyond our control, and we do not endorse in any manner whatsoever or accept any responsibility for the information, content or other material which may be contained on such websites, the use of such websites, on any products or services advertised on or sold through any such websites. We will not be liable under any circumstances for any damages whatsoever; direct or indirect, resulting from any use of this website or any other third party website linked to this website, whether or not we are advised of the possibility of such damages.